London High Court allows Aeroflot appeal in Berezovsky case | Russian Legal Information Agency (RAPSI). MOSCOW, January 16 (RAPSI, Ingrid Burke) – London’s High Court of Justice held on Thursday that Aeroflot should be allowed to appeal a 2012 summary dismissal of a case it filed in London seeking recognition and enforcement of fraud judgments the airline had previously won against deceased oligarch Boris Berezovsky and its former deputy director general Nikolai Glushkov in Russia, according to court documents obtained by RAPSI. Lady Justice Arden wrote: “In my judgment… this appeal should be allowed. If my Lords agree, that means that there will have to be a trial at which the issues are fully considered.” Lords Justice Kitchin and Toulson agreed. Berezovsky and Glushkov were convicted of having defrauded Aeroflot in the 1990s. In November 2007, the Moscow’s Savelovsky Court convicted Berezovsky of fraud and found him jointly and severally liable with Mr. Glushkov to pay Aeroflot over 200 million rubles. 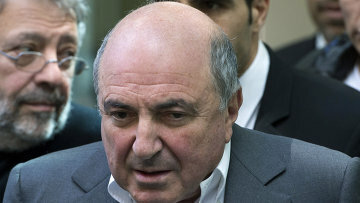 The judgment took effect in February 2008, after Moscow City Court dismissed Berezovsky’s appeal. 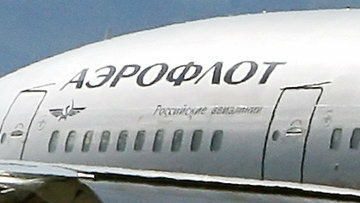 In 2011, Aeroflot sought an adjustment of the amount awarded, taking inflation into consideration, charging that the original award should be increased to upwards of two billion rubles. The Golovinsky Court granted the inflation adjustment in full. Aeroflot initiated the present proceedings in the UK seeking enforcement of the Russian judgment. In late 2012, the judge presiding over the case at the time summarily dismissed the claims on the basis of the finality principle, which prevents parties from re-launching disputes except either by way of appeal or as a result of fraud. Meanwhile, Berezovsky passed away in March 2013. Thursday’s judgment arose from an appeal on the issue of whether the judge had been correct in summarily dismissing the claim. The judgment notes that summary dismissal cannot be granted unless the court is satisfied that the claim being dismissed would have had no real chance of success. 19:38 16/01/2014 London’s High Court of Justice held on Thursday that Aeroflot should be allowed to appeal a 2012 summary dismissal of a case it filed in London seeking recognition and enforcement of fraud judgments the airline had previously won against deceased oligarch Boris Berezovsky and its former deputy director general Nikolai Glushkov in Russia.